COMMON NAMES: Bois Sappan, Bonduc, Caesalpinia Septaria, Caesalpinia Decapetala, Cats Claw, Cumaseba, Kraaldoring, Liane Croc Chien, Liane Sappan, Mauritius Thorn, Mauritiusdoring, Mysore Thorn, Popoki, Pua kelekino, Sappan, Shoofly, Somalata, Ubobo-encane, Ufenisi, Ulozisi, Wait-a-bit, Yun-Shih. Caesalpinia Sepiaria is a hardy perennial climbing vine that often resembles a shrub; it grows up to 13 feet (4 meters) tall as a shrub with individual vines growing up to 33 feet high (10 meters). It has red stems that are covered in tiny golden colored hairs and produce many small sharp thorns. The leaves are dark green on top and a lighter shade of green underneath, and can grow up 1 foot (30 cm) in length made up of many small paired leaflets; each leaflet is about 1 inch long (26 mm) by half an inch (13 mm) wide. Yun-Shih flowers appear only on the upper part of the stem, they are pale yellow and grow in dense elongated clusters that range from 4 to 16 inches (10 – 40 cm) in length. The plant’s seeds grow in brown pods very similar to the shape of snow pea pods, with 6 to 9 seed per pod. This tropical plant first originated in India and quickly migrated to Asia where it thrived and spread throughout the continent. Today Yun-Shih can be found growing wildly all over the world in tropical zones from Hawaii, Fiji, Thailand and Vietnam to Australia, South Africa, Puerto Rico and China. In many areas it is considered an invasive species because of its ability to quickly proliferate, spread and choke out other plant life. This plant has become popular as an ornamental and security hedge for private property because of its hardiness, ability to quickly take root, dense growth, and its many sharp thorny vines. TRADITIONAL USE: The historical evidence detailing this plant’s usage is scant, although there are several sources that allude to its psychoactive properties. Research conducted my renowned Chinese Botanist, Hui-Lin Li, in the 1970’s has shown a strong probability that Yun-Shih was used throughout antiquity for its psychoactive and hallucinogenic effects. Recent research into this plant’s psychoactive properties has shown that there are compounds produced in the flowers, stems and roots that should be considered for further in-depth phytochemical analysis. TRADITIONAL PREPARATION: Very little is known about the traditional preparation of this magical plant. The few records that still exist mention two distinct preparation methods. The first method employed by the ancient Chinese dried, crushed and powdered the seeds of Yun-Shih and combined them with the seeds of Lang-Tang (Hyoscyamus Niger) to make an incense that possessed psychoactive properties when burned. The second method explains that the flowers were added to water to make a tea that could be used to communicate with the spirits and dispel evil forces. There are only anecdotal accounts of modern preparations, so there still needs to be a lot more research conducted on this little known plant. MEDICINAL USES: Chinese herbal medicine books list several uses for this plant. The most common use was to use the flowers to make a tea that would be consumed to treat intestinal worms. There are also accounts of this plant being used to treat malaria and skin infections. TRADITIONAL EFFECTS: There are no firsthand accounts of Yun-Shih’s effects, although there are many historical and alleged effects. The ancient Chinese medical /herbal books describe the effects of consuming large quantities as being levitation, lunacy, visual hallucinations, communication with spirits and staggering madness. Starr, Forest; Starr, Kim. 2006. Plants of Hawaii: Caesalpinia Decapetala (photo credit). 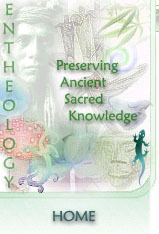 www.hear.org. USDA. 2009. 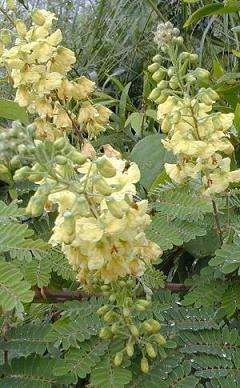 Caesalpinia Decapetala. www.plants.usda.gov. Black Henbane was used as a ritual plant by the pre-Indo-European peoples of central Europe. In Australia, handfuls of henbane seeds were discovered in a ceremonial urn along with bones and snail shells, dating back to the early Bronze Age. During the Paleolithic period, it has been speculated that henbane was used for ritual and shamanic purposes throughout Eurasia. Psychoactive incense has been known about and used for thousands of years; Over time and after many trials mankind has discovered that a potent hallucinogenic incense could be made by combining several different plants, resins, bark and roots.Although there has been very little modern research into their efficacy and historical uses, what is known is that they can have powerful effects on an individual’s psychology and be a catalyst to truly transcendent experiences.